It is not too late to go abroad this fall with Projects Abroad. 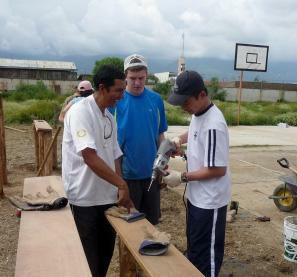 Our international volunteer opportunities run year round and dates are totally flexible. In many cases we can arrange a last-minute volunteer project in as little as a few weeks. Fall is a great time to get away between the busy summer and the Holiday Season. So if you have a semester off, vacation days to use up, or an “empty nest,” there is still time for you to volunteer or intern abroad this fall. Anyone can volunteer. Our projects are open to everyone 16 and older. In most cases no experience is required, just an open mind and a desire to help out where your help is needed. Whether you are a student on a gap year, a parent whose children are away at college, or retired, if you have the time this fall there is a space for you to volunteer around the world with Projects Abroad. You do not have go alone either - we have plenty of opportunities for families to spend the autumn volunteering together as well. By spending your fall abroad with Projects Abroad, you will have the great opportunity to put your time into a meaningful and rewarding program. We offer a wide range of opportunities and regions to suit your interests, and with more than 600 trained staff worldwide and hundreds of projects, we are one of the leading international volunteer organizations. It is thanks to our thousands of volunteers and interns who work in developing countries every year that we are able to offer such great opportunities. Sign up today and be one yourself this fall!